CEO and founder of Young & Successful Media and YSN.com, has been on a mission to impact the lives and futures of young people globally for the past two decades. 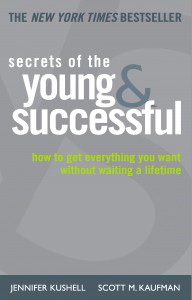 “If you can dream it, you can be it; I am the boss of me” are the mantras of SECRETS OF THE YOUNG AND SUCCESSFUL. You can get what you want without waiting a lifetime by simply viewing yourself as a serious entrepreneur who makes decisions regarding goals, energy, and resources expended.